About Spirit Lake · World Intro · Policies · Join Us · Why Beta? 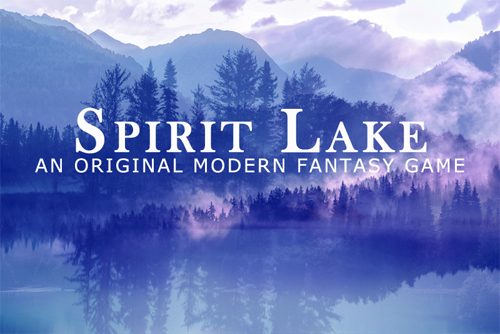 Set in the tiny Colorado town of Grand Lake, Spirit Lake is a game that explores what happens when magic re-enters the world. Grand Lake has long been known as the gateway to the Rockies. It turns out that it's also a gateway to other worlds. Portals have begun to open nearby, letting humans cross into other worlds - and letting things from those worlds cross into ours. At the same time, some have found themselves gifted with inexplicable powers that they don't understand and don't know how to control. Abruptly, the world is magical again. Characters can learn spells, find books, explore worlds, meet creatures, and uncover mysteries. OOCly, Spirit Lake is about collaborative discovery and creating a world through play. Players are actively encouraged to run plots, write spells, create magical worlds, and invent creatures. We will build the world as we play in it, and we look forward to the surprises that lay in wait. Spirit Lake is built in Ares and uses a modified version of @faraday's FS3 system for combat and spellcasting. After a fall spent Alpha testing (and many, many months spent developing), we are finally ready for open Beta. Log-in and character creation will be turned on Wednesday, January 9. We hope to see you there! SPIRIT LAKE IS CURRENTLY FULL AND CHARACTER CREATION IS CLOSED.